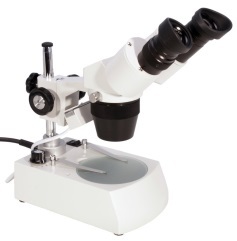 The AM2111 is the entry level version from the Dino-Lite range of professional quality handheld USB digital microscopes. There are other 'lookalike' products available at much cheaper prices that are great fun. However the Dino-Lite range stands apart from these with its build quality, performance, software, 2 year warranty and product support. Excellence does not come cheaply. 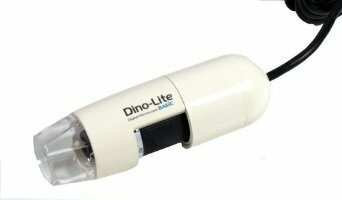 The Dino-Lite is a new concept in magnification bringing together some of the benefits of a microscope with a digital camera that can take video clips and still images. 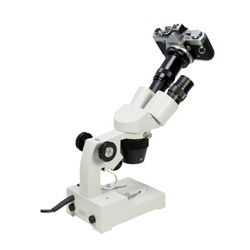 The main advantage of the Dino-Lite is its portability and the fact that it can be used in places and for applications that are outside the reach of conventional microscopes. For those just interested in the world around them they can provide a fascinating insight and are excellent as a family teaching tool that can make science fun. 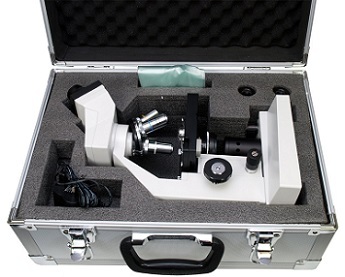 In the commercial world and industry they can be invaluable for presentations and examining items in situations that preclude the use of a standard microscope. Whilst they are designed to be hand held they do benefit from the use of a stand which makes steady focusing easier. 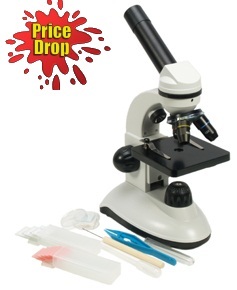 Stands are available separately and are listed in our range of products and one is shown here with the microscope in place. 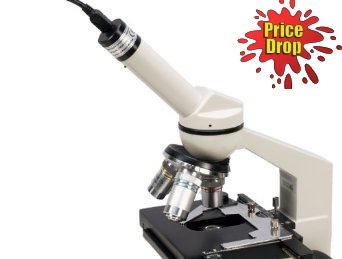 We like to describe all our products accurately and whilst the Dino-Lite has many unique applications in truth it cannot replace or replicate all that microscopes are used for, the AM2111 would not really be suitable for insect dissections or looking at microscope slides for example. 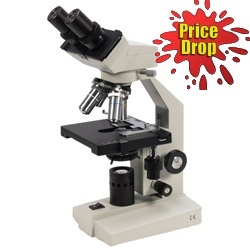 Nevertheless a valuable addition to the microscopy and inspection world. The images show a house fly, the surface of a rock mineral and the print of a postage stamp at the highest magnification.